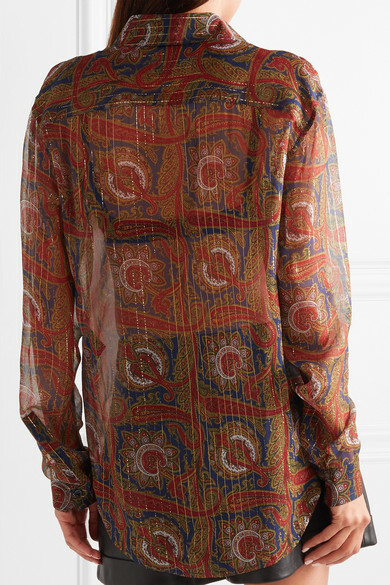 Saint Laurent's shirt is printed with retro paisley swirls. 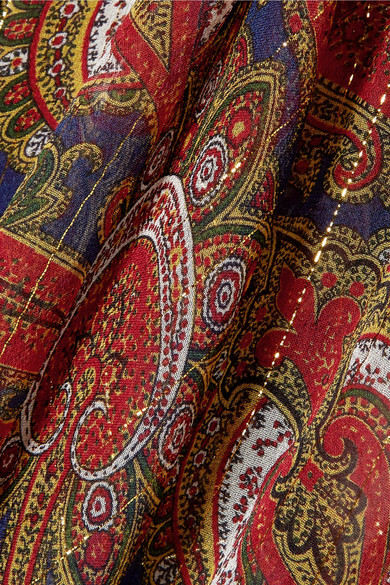 Cut from a lightweight silk-blend chiffon, it's woven with metallic gold thread. 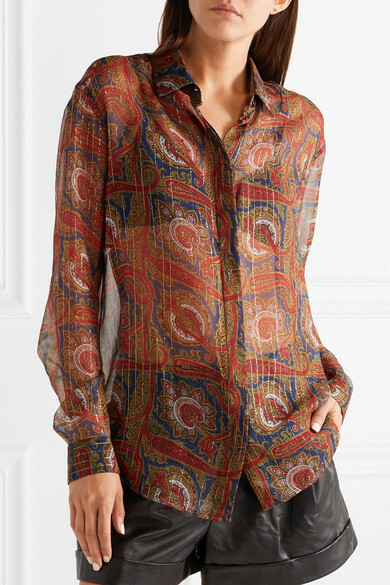 Slip yours over a delicate triangle bra to temper the sheerness. Shown here with: Saint Laurent Skirt, Saint Laurent Clutch, Saint Laurent Sandals, Cosabella Bra.